Please help me give a warm welcome to Beth Anne Schwamberger – creator of the Brilliant Life Planner and Founder of Brilliant Business Moms. I’m so excited to have her guest posting today. 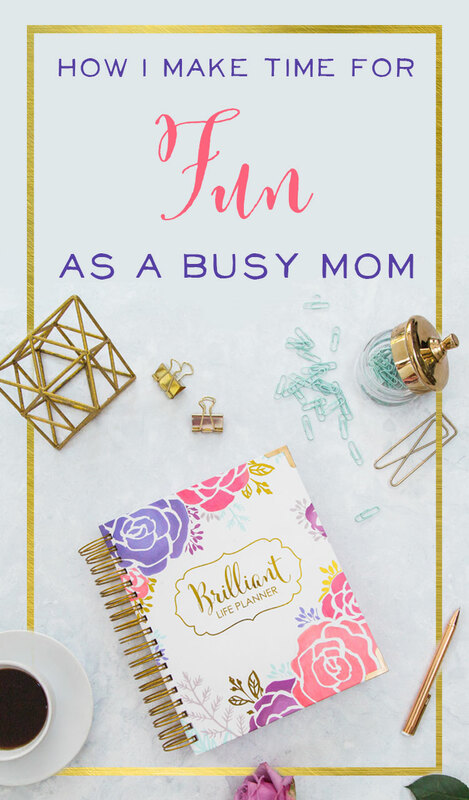 We can all use a little more fun and today she’s sharing her tips for how she makes time for fun despite being a very busy mom! I hope you enjoy her post as much I did. The hamper is full, the living room is a wreck, and I have no idea what I’m making for dinner. In the midst of balancing the household, kids’ activities, my marriage, and my blog and online shop, it sometimes it feels impossible to just stop and have some fun! My husband is a military pilot – with long and unpredictable hours. My son Holden has some special needs, so physical therapy and trips to the doctor happen often for us. And me… well I’m a piece of work all my own! I’m constantly filling my brain with 100 new ideas for how I can grow my business, and I’m much better at starting projects than I am at seeing them through. But despite all of this, in our house, we laugh often, we love to wrestle and sword fight and play with dinosaurs. And most weekends, we’re out doing something fun together. How do we manage all this fun with everything else that’s on our plates? The answer is both surprisingly simple, yet incredibly tricky to pull off. We schedule time for fun in our planner! To us, making time for fun as a family is just as important as all the other items on the to-do list, so it deserves a spot on my daily schedule and on my weekly to-do’s. Maybe this seems counter-intuitive. I mean isn’t fun supposed to be, well….. just fun? Doesn’t the fun get taken out of it when it’s scheduled and mandated? I’ve discovered that this isn’t the case at all. Instead, when the fun is scheduled, I have the freedom to truly enjoy it! Because I’ve blocked off time each day for everything else that needs to get done, I can rest easy when “fun time” comes around. I use a loose time-blocking system for my schedule. This way, every day I know that the important parts of my life will be taken care of. There’s time for household chores, time for the business, and time for fun with Holden and quality time as a family. Sure, I could do household chores forever, and there are always a million new ways to try to grow the business, but when I’m in charge of my schedule and know that there’s more time tomorrow to focus on those things, I feel free to enjoy the fun moments I’m having today. For me, there are few things more enjoyable about life than truly soaking up the moment you’re in and being fully present. Time-blocking allows me to do just that. I can compartmentalize the things that need to get done at a later time, and enjoy the moment I’m in. The other thing I love about time blocking is that it forces me to truly focus on the task at hand and get things done. If I only have 1 hour to clean the house, then I’ll work and clean like crazy. If I give myself all day, then I’d easily take hours longer to complete the same tasks. The same is true of my business. When I’m forced to focus only on what matters most, I can work with intensity and forget the rest. Not to mention, when you give yourself time for breaks and fun, you’ll actually be MORE productive in the long-term. None of us can work for 20 hours straight without feeling the strain it places on our brains. Breaks are necessary for doing your best work. Despite knowing that you’ve got more time blocked out for work tomorrow, and knowing, in theory, that breaks are good for you, it’s easy to fall into a to-do list trap. In our work-obsessed culture, we often rate a good day based on how much we got done, and even worse, based on whether we’ve crossed everything off of that to-do list. Friend, your to-do list is not your permission slip. You don’t need to cross everything off in order to give yourself permission to go enjoy life. That list? It will be there tomorrow. Those precious people in your life? Well… they’re growing up and changing and they may not be there tomorrow. It’s time to quit placing our value and self-worth in that little piece of paper. It’s time to remember what matters most. You see, the problem with the to-do list trap, is that although it might make us feel good in the moment to get things done in a flurry of productivity, in the long-run, we’ll forget why we were working so hard. Is the point of your life simply to get as much done as you possibly can? No… I didn’t think so. Chances are your “why” for doing what you do involves the people you love most, helping others, or making a difference in this world. Don’t let productivity for productivity’s sake make you lose sight of your “why.” You’ll wake up in a year or two and wonder where all that time went, and why you haven’t been enjoying life as you should. Finally, keep in mind that you’ve likely put way too much on your list that you can realistically accomplish each day. This makes finishing that list and making time for fun a nearly impossible task! Take a look at your list for the day, move about half of those items to a different day, and go from there. Be gentle with yourself. I know you’re holding yourself to a much higher standard of productivity than you are everyone else, so imagine, just for a minute, that your spouse or friend was asking whether they deserved to take a break. Chances are, you’d say, “yes!” Give yourself that break too. Before you can figure out what to focus on each day, you’ll need to get clear on your top priorities and biggest passions. Grab the Top 5 Passions Worksheet to solidify what matters most. Now that you’ve decided on your Top 5 Passions (and a related goal for each!) use the Time-Blocking Sheet to figure out how you can make time for those passions each day. This means blocking off time for your great big goals and the people that matter most. If you’re still having trouble finding time for all of the things that matter most, do the Hours in a Week Exercise to figure out where your time is going each week. Finally, use the Only the Best Worksheet to brainstorm ways to bring more fun and joy back into your life and ways to eliminate some of those joy-stealers. I think you’re going to find that as you map out your top priorities, give yourself grace with that to-do list each day, and protect that precious time for the people that matter most, you’ll have more time for fun with your family too! Beth Anne Schwamberger is a big dreamer, adoptive mom, and military spouse. 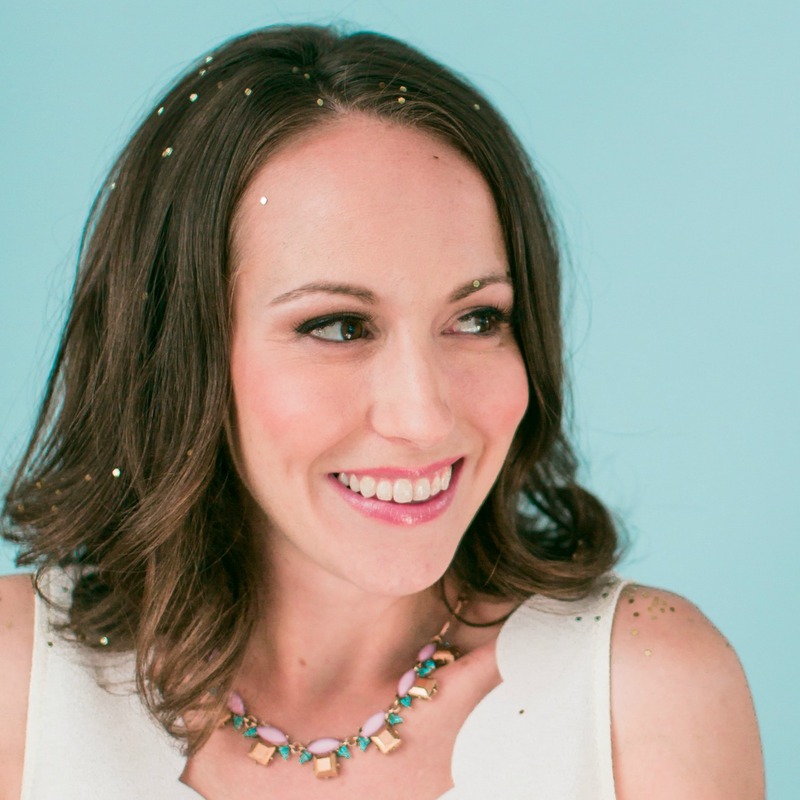 She has a blog and online shop at BrilliantBusinessMoms.com Beth Anne is passionate about helping women to discover their deepest calling, and then take practical steps towards making that calling part of their everyday lives. Her brand-new, Brilliant Life Planner is now available on Kickstarter. She did a fantastic job didn’t she Lisa? Her tips really work. 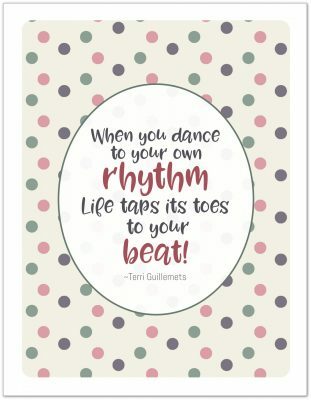 I’ve started implementing them into my planning and daily life and I’m finding that I’m enjoying my downtime and family time so much more than before. I’m thrilled that you’re finding some printables here to help you. 🙂 That totally makes my day!